*** SPECIAL OFFER *** ClariSafe Color Label Printer for Pharmacy Auxiliary Labels. Print a variety of Pharmacy Labels on demand. Includes ClariSafe software (download) with pre-loaded catalog of common auxiliary labels. 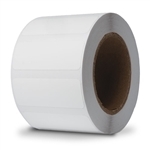 This starter bundle includes free 16 rolls (6000 labels) of our standard 2.37" x 0.875" labels (Part Number 97312) formatted for use with the ClariSafe software. ClariSafe Color Label Printer for Pharmacy Auxiliary Labels. Print a variety of Pharmacy Labels on demand using ClariSafe software (sold separately). Includes color ink cartridge. Labels sold separately. ClariSafe digital Label Catalog is a software download for use on Windows PCs and tablets. It's loaded with a comprehensive set of commonly used auxiliary warning labels that print in the 2..37" x 0.875" format of our item number 97312. Requires a ClariSafe Printer. ClariSafe software is licensed for use with up to 5 ClariSafe Printers per site. Addmaster Color Inkjet Cartridge for use with Clarisafe Printers and Addmaster model IJ-25C. 2.37" wide x 0.875" high label for use with Clarisafe and IJ25C Printers. 750 labels per roll. 8 rolls per case. Price is per roll. For use with printing the standard auxiliary labels from Clarisafe software's electronic catalog of labels.